If you told me that I’d ever organize a fatass run just a few months ago, I would say that you’re crazy. Life changed for me when an article was published mapping out Rocky Balboa’s run in his training montage in Rocky II. The story of how I planned the run is for another day; I’m here to write about my experience running with 150+ other crazy runners. My younger brother came and ran his longest ever, 14 miles! The run started without the hoopla of a normal race, I just told the runners to “Go!” We slowly took off away from Rocky’s and Adrian’s “house” in Rocky II. We made our way through South Philly, passing two ‘famous’ cheesesteak places: Pat’s and Geno’s (tip for non-locals: these aren’t the best cheesesteaks in the city, so avoid the tourist traps that they are). I kept looking around in awe of how many people showed up, many in grey sweats and red sweatbands. As we ran through Center City and Kensington (in North Philly), I soaked up amazing conversations with these fellow runners. 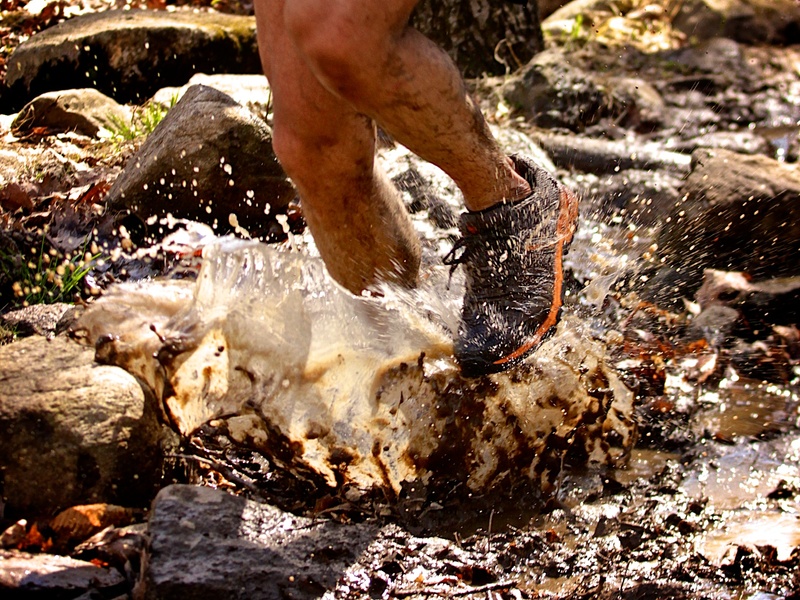 For many, this was their first ultra. 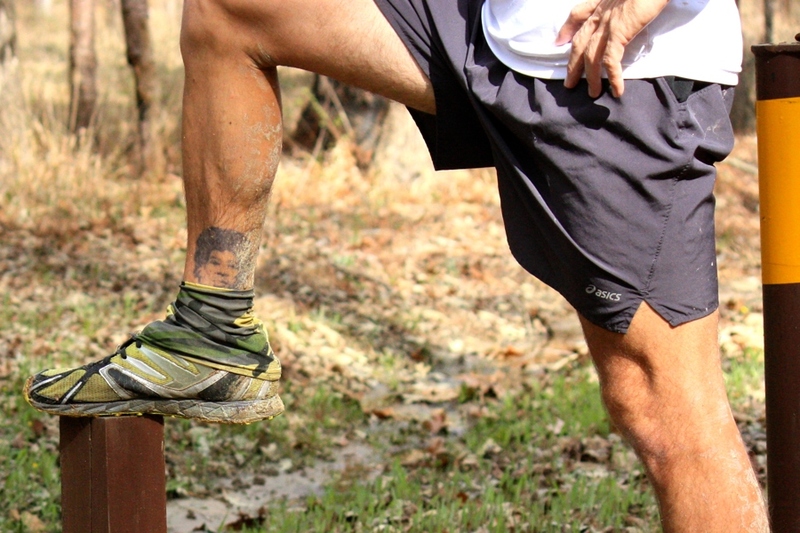 For one, it was his 275th marathon distance race or longer! I enjoyed meeting new people, most from the Philly area, but some from as far as Arizona! 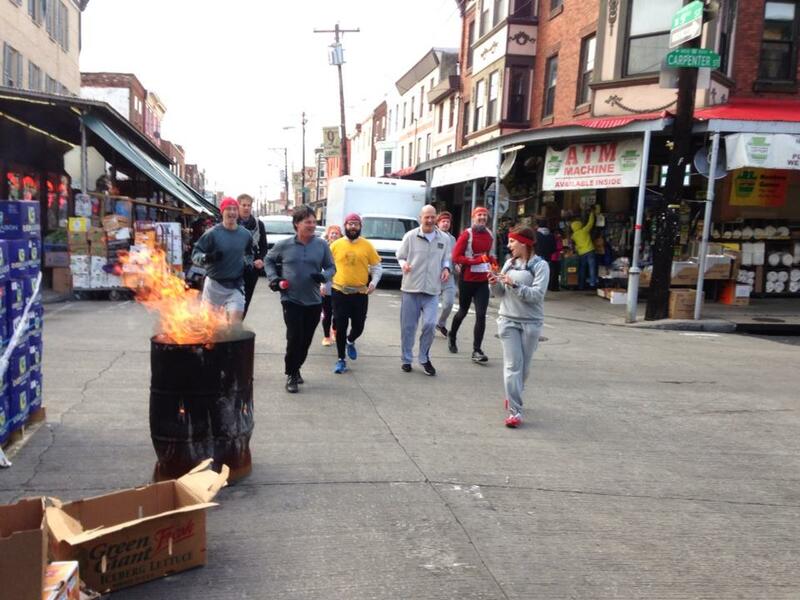 A favorite moment was running back to South Philly and through the Italian Market, where there were actually flaming barrels! I always thought it was just a prop in the movie, but man, how empowering that was to see! A few miles later, I really needed that strength to keep going. Right around the halfway point my lack of sleep from the days before the run really hit me. I just felt wiped. I was running with a really fun group, so I just forced myself to break the run up into fun segments to check off my list and focus on the fun discussion going on. My legs were feeling tight and I just felt off, but the organizer of the run can’t quit! The worst of it was around mile 23 when nausea hit me. Our group had separated a bit and I was just with 3 other runners, none of which were talking. I kept thinking about how terribly my stomach was feeling, so I had to spark conversation so that I was distracted. 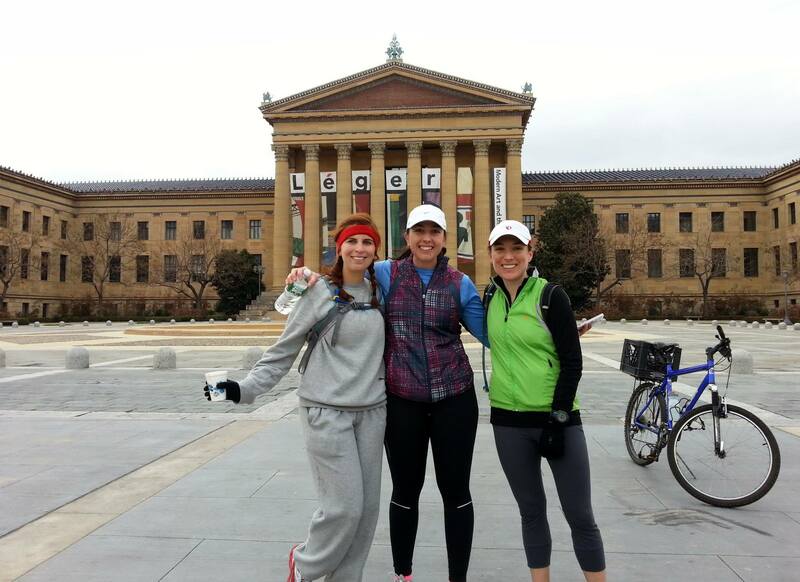 We actually saw my mom around mile 25.5, right by the Art Museum stairs. Sadly, we weren’t finished, so I kissed my mama goodbye and said that we’d see her in a bit! I had a lot of fun (and pain) the last 5 or so miles of the run. 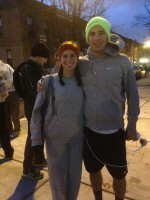 We ran through Center City, even right by my apartment, but the hardest part was that we kept hitting traffic lights! While running wasn’t pain-free, the starting and stopping was hard. 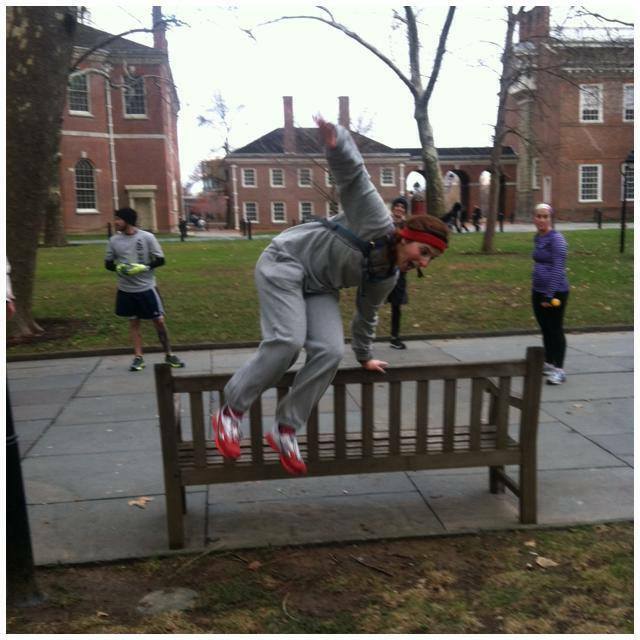 The best part was when we got to the benches that Rocky hurdled, though. I was afraid of face planting, so I made an assisted jump. As my group of running companions and I finished up the Art Museum steps, I just felt a sense of relief. One, obviously, because I was done and my legs were thankful (50k on city sidewalks is painful). I mostly felt relieved because I aimed to put on a fun run and I had a blast as a runner, as did everyone that I talked to at the finish. People forget sometimes how much fun it can be to just get together with a group of friends and just run for the hell of it. We can get caught up in competition, elaborate races, fees, medals, etc. and forget what we’re even doing to begin with: running. I had a blast making new friends and can’t wait for next year’s run to experience this again, hopefully with even more new friends. At the finish with two friends who finished their first 50ks!